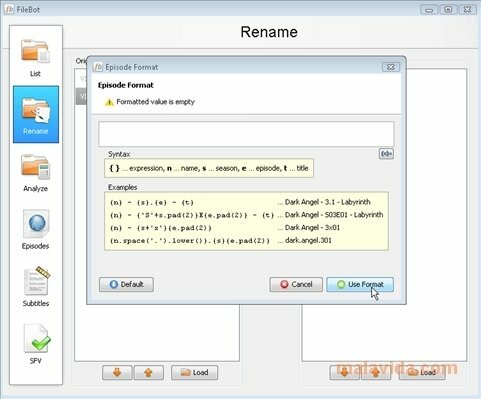 This is a useful tool that will allow you to keep your collection of TV series organized as well as renaming the files. 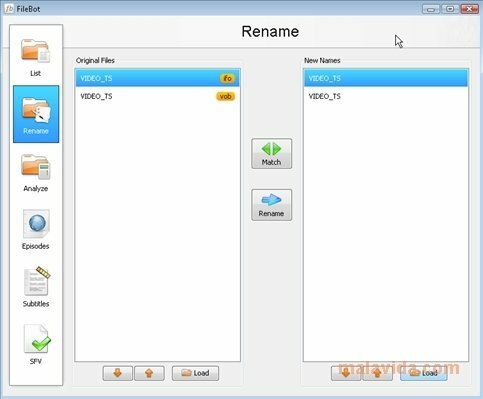 It is a perfect tool to manage folders full of downloaded files with unrecognizable names. From now on you will be able to change the way in which you store your favorite TV series. When you download series from the Internet it's common to select packs of files that include complete seasons or, in the majority of cases, a large number of files that is very difficult to manage. From now on that will change. FileBot will allow you to maintain all your files well organized, it is capable of performing searches automatically and to look for new episodes. Furthermore, the application allows you to rename the files, as well as allowing you to search for the subtitles in different languages. The tool you needed to organize your collection of movies, series, and videos. 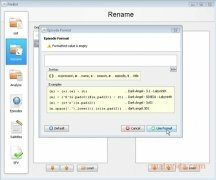 If you are looking for a tool with which you can organize and manage your TV series collection you should try FileBot. Storing your favorite series in order will allow you to have more time to watch them and to search for new series to watch.